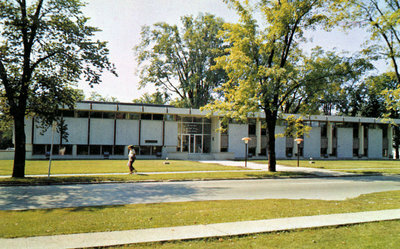 A colour photographic postcard of 405 Dundas Street West. 405 Dundas Street West, 1962, Photographer Unknown. Whitby Archives.